Organiclea is recruiting for two posts – a Farmstart Coordinator and a Vineyard Worker. Please pass on details to anyone you think might be interested. 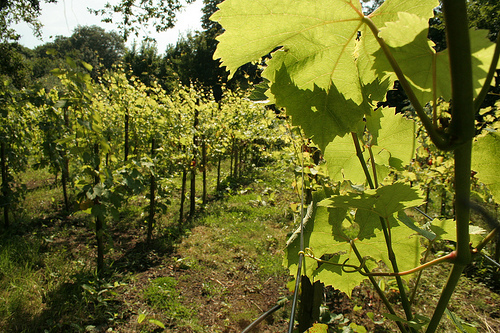 Following the successful planting of a vineyard and establishment of a winery at our Hawkwood growing site, Organiclea is seeking a person to join us for a training/enterprise opportunity. Working alongside Marko Bojcun for an initial 6 months, the Vineyard Worker will not only be responsible for the vineyard and winery, the post holder will have the opportunity to develop the enterprise by expanding use of the winery and/ or bringing additional land into vineyard cultivation. This is an opportunity for someone who is interested in creating a livelihood from growing grapes and making wine. Deadline for applications, Wednesday 1 July 5pm. Can you help Organiclea develop the local food economy through access to land, training, support and livelihoods? Organiclea is looking for a coordinator to run our Farm Start programme which is helping new entrant growers to find land and develop their skills in enterprise and co-operation. Deadline for applications, Wednesday 8 July 5pm.